Naturally, God Himself created the God’s universe – in all His multiple images. Our human authoritative leaders called in the Jewish nation the Rabbis created the Religion’s universe. However about two centuries ago, things had begun to change – the Jews had begun to be accepted by the gentiles and begun real competitive coexistence in the gentile world. The life conditions for Jewish individuals had become completely different, and the rabbis were not able to adjust their spiritual guidance to specific life conditions of everybody. That was the end of the traditional Orthodox spiritual supremacy in the Jewish nation – not because of somebody’s revolt but rather because of inability of the Orthodox rabbis to adjust the Torah’s teachings to the changing times. The Orthodox rabbis were not prepared to tailor their teachings to the enormous changes in the world created along the lines of God’s laws of nature. The result: the birth of new spiritual Jewish movements – conservatism, reformism and secularism. 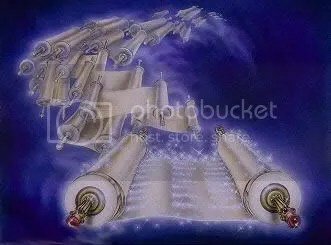 Those feuding movements are trying to find the God’s guidance in new life circumstances, created in the God’s world by the God’s laws, – the guidance the orthodox rabbis were not able to provide. 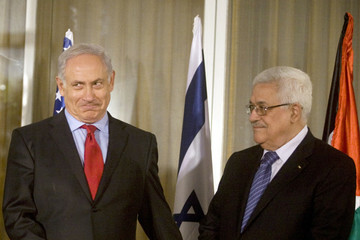 “Prime Minister of Israel Netanyahu calls PA President Abbas with Eid greeting and says Israel wants peace. PA chief says he wants deal this year”. The problem is that both sides define the peace in a completely different way as could be seen from their Future-for-Palestine narratives. God gave the Promised Land (with the Holy Center in Jerusalem) now called Palestine, to the Jewish people and provided them with the Law, which is described in the Torah, on how to build a better world for all, Jews and non-Jews, in the Promised Land and beyond. The enemies of the Jews have been expelling the Jews from the Promised Land from the very beginning but the Jews were returning to the Promised Land (and Jerusalem) in spite of all threats. After the Holocaust, the Jews were returning to the Promised Land in large numbers to escape a murderous Europe and to build a dream-home for the Jews where the Jews themselves are capable to defend themselves from holocausts, pogroms and anti-Semitism. The Jews are eager to live in peace with their Arab neighbors if the neighbors agree with the security provisions designed to prevent new attempts to expel the Jews from the Promised Land. Allah gave all people the only true religion Islam, and finally the human world have to become Islamic. Palestine is the first part of the human world that had become Islamic and therefore, as the Koranic Law says, shall stay Islamic forever. After the Holocaust, the establishment of the Jewish State Israel made a part of Palestine de-Islamized and the true Muslims are obliged to reinstate there the Koranic law. The true Muslims can accept only a solution to Jewish-Arab conflict in Palestine that makes all Palestine an Islamic one. An honest assessment of the two narratives makes it clear that there is no way to reconcile them – that is the reason why the “two-state solution” failed in spite of the great and sincere efforts of USA and European governments to find such solution. That is why I have concluded in the post, “Palestinians have outplayed Israel – what Israel may do now” that the unilateral, one-Jewish-state solution for the Israeli-Palestinian conflict outlined by Caroline Glick many years ago is the only solution available for Israel. This Israeli one-Jewish-state solution should preserve an opportunity for the Palestinians to decide for themselves with whom to collaborate politically in the framework of Israeli secure borders – to have their own Arab-Palestinian secure future without violating the Israeli secure future. The entire Palestine and Middle East history consists of similar one-sided solutions: a more powerful side defeats a less powerful side and imposes its own one-sided solution where a defeated side is not treated equally. The difference between what have happened in the history and what an Israeli one-sided one-state solution intends to do is that Israel is trying to find a solution where both Israelis and Arabs are treated equally. Jews and Arabs have lived in Palestine in relative peace until the beginning of the 20th Neither Jews or Arabs had their national states – the Jews lived in communities while the Arabs lived in tribes. The ruling Turks of Ottoman Empire allowed Jews, Christians and Muslim to live in accordance with their own, non-Turkish traditions. Both Jews and Arabs owned pieces of the land where they supported their families by farming and animal stock raising. The land used by the Arabs was owned by tradition and transferred from generation to generation while the land used by the Jews was legally purchased either from the Ottoman government or from private Arab owners. There were disputes and even minor military clashes but they were of the same magnitude than the others tribal disputes and clashes in the area like Persians vs. Arabs, Sunnis vs. Shiites, Kurds vs. Turks, or ISIS vs. Yazidis. The tribal/communal relationships remained the same after the defeat of the Ottoman Empire in WWI, when the foreign European powers – UK, France, Germany, and Italy – became the governing powers in the Middle East. However, in the late 1940th and in the 1950th, the foreign governing powers realized that the cost of the Middle East governing is too high, and began creating local artificial states to transfer the governing power to them. Since those artificial states were created not in a normal historic way when – before creating a state – the people find a common ground for a peaceful coexistence, immediately local wars started to reshape the Middle-East map artificially created by the foreign powers. Israeli-Palestinian conflict is a part of this general reshaping. The current situation is such that everything is decided by non-peaceful means (Iraq, Afghanistan, Syria, Lebanon, Libya, Kurds, ISIS), and Israeli-Palestinian conflict is going to be resolved in the same way with various foreign powers trying to advance their own, not Israeli or Palestinian, interest. If it is so, and the history of the region confirms that is the case, it is much more beneficial for Israel to go ahead with own unilateral proposal for secure borders of the state of Israel, providing an option for the West-Bank Arabs to define their political future in the framework of Israel secure borders. The Israel Police forcefully evicted scores of Jewish worshipers who had barricaded themselves in King David’s Tomb in an attempt to prevent Christians from conducting a prayer service at the site. Hundreds of Orthodox Jewish protesters, among them prominent Breslov Hassidic leader Rabbi Shalom Arush, blocked a Christian Mass at David’s Tomb as Christian groups opted here for Pentecost services. The Jewish protesters were blocking a Christian Mass from being held there since they believe the David’s Tomb is a holy place exclusively for the Jews. According to an interpretation of the Jewish law by some Orthodox authorities, foreign prayer services, which may include effigies or idols in Jewish definition, can render a place unsuitable for Jewish prayers. However, many Christians consider the Tomb of David a holy Christian place as well – it is the site of Jesus’s Last Supper. The Sunday Mass at the place of David’s Tomb was intended to honor of the Christian festival of Pentecost. Pentecost is a prominent feast in the calendar of ancient Israel celebrating the giving of the Law on Sinai. This feast is celebrated in Judaism as Shavuot. In Christianity, this holiday commemorates the descent of the Holy Spirit upon the Apostles, and the Christians consider it as the Birthday of Christianity. Clearly, the Jews and the Christians consider the David’s Tomb their holy place. Should we the Jews consider this place the holy one only for ourselves and guard this place from all “spiritual intruders”, or should we rejoice when somebody else, in this case the Christians, believe in the holiness of this place and want to honor this place by their own prayers? The answer to this question depends on the understanding of the essence of our mission of the Chosen. If we believe the mission of the Chosen is to be completely separated and isolated from the non-Jews to serve God by the prayers and by the life style structured by the 613 Talmudic laws in the strictly Orthodox interpretation, then guarding all our holy places from all imaginary intruders is the only acceptable service to God. 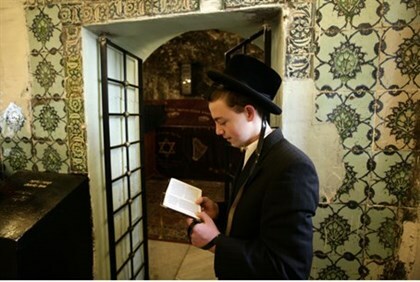 However, if we believe the mission of the Chosen is something totally different – not to be completely separated and isolated from the non-Jews but to reach the non-Jews and help them organize their life along the lines of Torah’s commandments tailored to unique non-Jewish traditions, then we have to welcome the Christians coming to our holy places. We have to welcome the Christians and work together with them on creating a join approach in building a God’s better world for everybody. has convinced me that the God’s approach should be to welcome the Christians and build together a better world for everybody. The separation/isolation approach, as Hasidic rabbi Arush implies, cannot be the God’s one because of the following reasons. There is no Torah-based reason for God (in any of His possible images) not to like anybody who is coming to His holy place – God created everybody equal in His image and likeness. There is no Torah-based reason for not allowing the Christians who consider the Jewish holy place the holy place for themselves as well – the Golden Rule of Jewish morality demands not to do to the stranger what you do not want to be done to yourself. 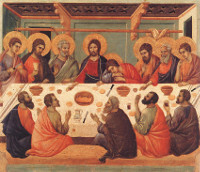 While the Christians consider the David’s Tomb place as the place of the Last Supper-Gathering of the founders of Christianity, we the Jews may consider this Supper-Gathering as the gathering of rabbi Joshua and his Jewish followers who were the founders of a new stream of Torah-based Jewish thinking. Moreover, we the Jews should appreciate the fact that this thinking provided the foundation for the Christianity. There is no God’s Torah-guided law that says that the foreign prayer services, which include effigies or idols, can render a place unsuitable for Jewish prayers as the Hasidic Jews imply. Just remember, God did not revoke the mission of the Chosen when the Jews at the Mount Sinai were making the Golden Calf while waiting for Moses. It looks like the same strictly Orthodox Jews, who are trying to preserve the impenetrable separation wall between the Jews and the non-Jews, are trying to remove the chief rabbi of Efrat Shlomo Riskin from his position. The strictly Orthodox Jews led by the outdated Chief Rabbinate of Israel do not like this great Orthodox rabbi for his Torah-guided attempts to build spiritual bridges to everybody in the Judeo-Christian world. Rabbi Riskin builds the spiritual bridges to the Jews who are looking for non-Orthodox spiritual guidance in the Torah, and to the Christians who are trying to strengthen their faith by coming to the roots of their faith, which are in the Torah the Old Testament. We the Jews should love the Christians coming to our holy places for inspiration.